Severe thunderstorms created a harrowing evening for a Gwinnett County family Thursday when their house was struck by a bolt of lightning. According to a Gwinnett County Fire Dept. 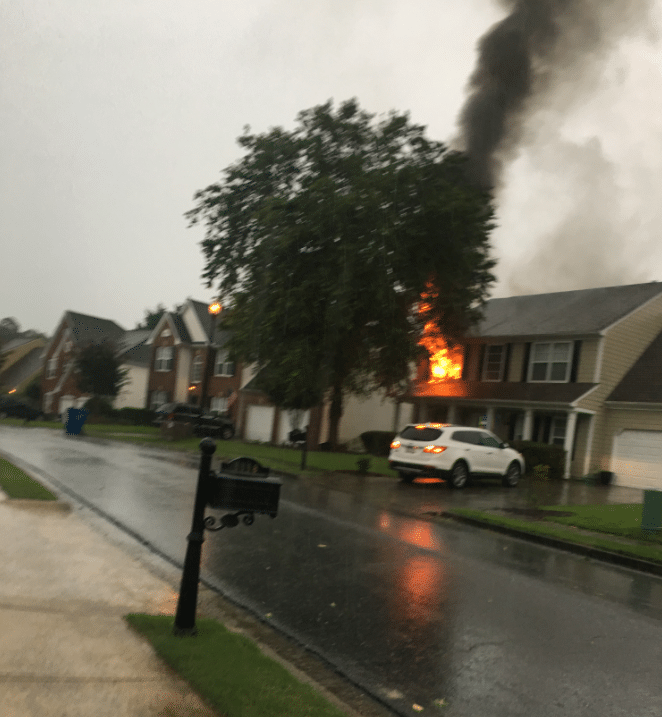 spokesman, a lightning strike caused a home in Dacula to catch on fire. A mother and her three children were home at the time and reported hearing a loud boom followed by what they say felt like the house shaking. The woman, who was on the phone with her husband at the time, said that the cable went out. 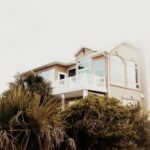 She went upstairs and discovered smoke filling the second floor of the home. The family was able to escape the fire unharmed and there were no injuries reported. The family sought refuge at a neighbor’s house across the street as firefighters worked to put the flames out during a strong thunderstorm. Firefighters found flames coming from the roof over the front-left side of the two-story, wood-frame house when they arrived and worked fast to bring the fire under control. The fire burned a hole in the roof over a bedroom and caused extensive damage. It appears that lightning may have hit the side of the home and traveled in via a utility line, fire department officials said.